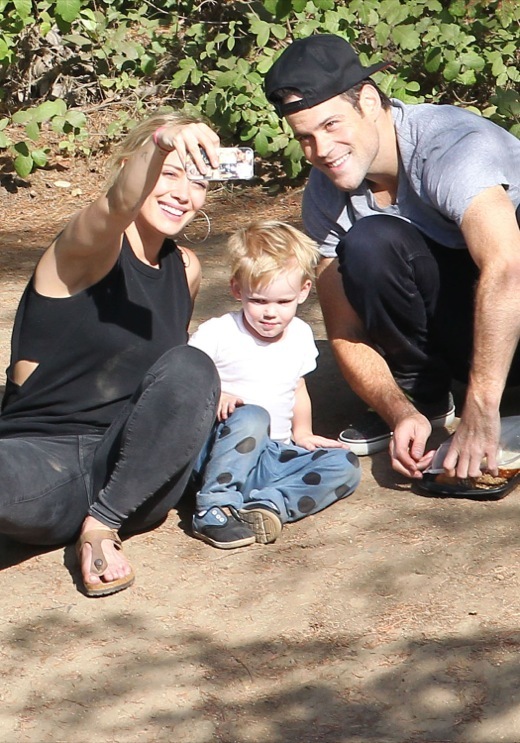 Hilary Duff spent a sunny day with her estranged husband Mike Comrie and their son Luca at a park in Beverly Hills, California on Saturday (June 14). Despite separating in January, the singer and the former NHL player looked more like a couple than ever. They fed ducks together and took family pictures while bonding with their son. At one point, Comrie affectionately attempted to carry both Hilary and Luca at the same time. As they walked off, he was seen wrapping his arm around Duff. Duff took to Instagram to share a sweet shot of Comrie and Luca on Father’s Day. “Happy daddy’s day Mikey!! !” the proud mom captioned a shot of the father-son duo. She also praised Comrie’s parenting skills on Twitter. “Grateful Luca has the best daddy in the world! That gives him so much love and is so patient with him! Happy Father’s Day,” she wrote. Duff and Comrie married in 2010.